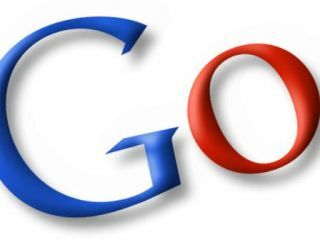 Google's online Drive - minus oogle's online? Google has announced a new feature in Google Apps called 'upload any file type' allowing users to store any kind of data in an allocated 1GB of space. Although it is likely to spark talk of the mooted 'GDrive', something that Google has been quick to refute, this does mark a foray into cloud data storage. "Now accessing your work files doesn't require a connection to your internal office network. Nor do you need to email files to yourself, carry around a thumbdrive, or use a company network drive – you can access your files using Google Docs from any web-enabled computer. "Combined with shared folders in Google Docs, the upload feature is a great way to collaborate on files with co-workers and external parties. "Instead of using cumbersome email attachments, you can upload files to a folder and share it with co-workers, who can then access and edit the files from a single place. You can even have your sales team securely share contracts with external clients for review. "And of course, by using Google Docs, you can quickly and easily search across all your files from one place, getting access to the right file when and where you need it." 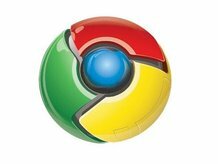 The move also ties in with Google Chrome OS release later in 2010, which will require online storage beyond, of course, the several gigabytes allocated to each Gmail user account. A single Gig is, of course, not a great deal, but Google will allow Google Apps Premiers users to purchase more and, if they hold true to form, this 1GB limit is likely to quickly rise in the same way as the Gmail limit did. "In the coming months, we will enable Google Apps Premier Edition customers to purchase additional storage for $3.50/GB/yr (or €3.00/gb/yr in the EU)." So, not the Gdrive, but online shareable file storage from Google that allows you to store any file type.